I know what it’s like to long for a child and to wait month after month for the baby that never comes. And I know firsthand the pain of infertility and the difficulties that can come with adoption. After a full year with no success, we met with a reproductive endocrinologist, a doctor who specializes in treating infertility. 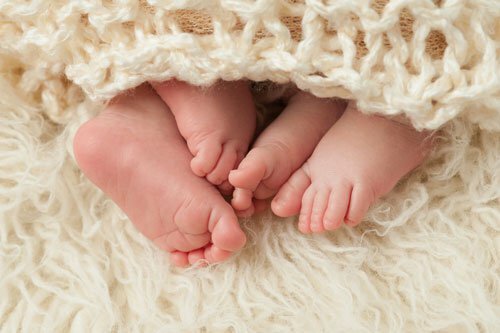 After trying three intrauterine inseminations, we moved to in vitro fertilization – commonly known as IVF. With my eggs and Ruben’s sperm, embryos were created and transferred to my uterus. We experienced the exuberant joy of pregnancy twice, followed by the devastating heartbreak of miscarriage. "Reflecting back, there is a lot I wish I had known. But with one in eight couples having trouble conceiving, I know I am not alone." 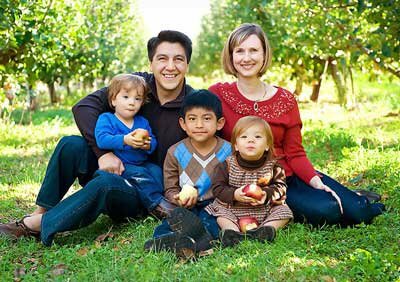 During fertility treatment we also looked into adoption. Our moment to become parents came at last when we adopted our seven-month-old son from Guatemala. The happiness and joy we felt with our new son was immeasurable. Finally, I was a mother. The next year, we hoped to add to our family by adopting a little girl from Guatemala. After several visits and preparing for her stateside homecoming, our hopes were shattered when international adoptions in Guatemala were closed. During this time I also took a position at a fertility center. In my new position I learned even more about infertility and how female eggs lose their quality with age. Eggs typically begin to diminish in the early 30s, with egg viability beginning to steadily decline after age 35. I was 39. With this information, I felt the prickle of realization and sadness. We had endured several failed IVF cycles and coincidentally (or serendipitously, depending on how you look at it) our physician recommended donor eggs as an option to grow a family. After careful thought, we decided to give it a try. The process in obtaining donor eggs is not an easy one. The donor needed to be selected, screened, placed under medication and monitored. This process can take anywhere from three to 12 months. After retrieving eggs from the donor and creating embryos, I had two embryos transferred to my uterus. I allowed myself to be cautiously optimistic. "Believe it or not, I got pregnant on the first try. With twins!" For the first time, I felt the kicks and the morning sickness. The egg donor gives you one tiny precious cell. But through my body, the babies grow and thrive and flourish. Nine months later, we were blessed with a healthy baby girl and boy. Reflecting back, there is a lot I wish I had known. But with one in eight couples having trouble conceiving, I know I am not alone. After my experiences, it became my mission to help other women know about and understand the option of donor egg when trying to have a family. My infertility advocacy turned into an opportunity to help people on a much larger scale when I accepted a position as CEO of Donor Egg Bank USA (now Executive VP of California Cryobank's Donor Egg Bank). Since our fledgling inception, we have grown to the nation’s largest frozen donor egg bank and have helped hundreds of couples grow a family. While we had a happy ending, it took us 10 years to get there. To help those trying to have a baby, I’d like to share some of the lessons and shortcuts I learned on my journey. 1. Educate yourself on your personal fertility. In order to understand your fertility potential, you need to understand your body. A basic fertility evaluation for you and your partner (very affordable, by the way) can potentially save months of personal troubleshooting. There are various factors that can affect fertility such as age, weight, diet, smoking, sleep, and stress. Medical conditions and issues such as irregular periods or ovulation, fibroids, cysts, endometriosis, polycystic ovary syndrome as well as many others can impact fertility. With the help of organizations such as RESOLVE, there is an abundance of fertility education materials to research and study. 2. Know and research your family building options. Take time to look at all the options to have a family, whether that’s low tech fertility treatment options such as Intra-uterine implantation or more high tech options such as IVF or donor egg treatment. One can also consider pursuing domestic or international adoption or entering the foster care system as a much needed guardian for a child in need. 3. Research local doctors and fertility centers. Look for and research local reproductive endocrinologists. These are specialists in the field of infertility, and they are your best bet for building a family. Do they have experience with your infertility diagnosis or age group? Do they take on the harder infertility cases? What outcomes have they had for these types of cases? Are they up-to-date on the latest infertility treatment options? Do they have a research department? All of these factors are important to consider when selecting a fertility center. 4. Look up the fertility practice’s quality numbers. All fertility centers are required to report their results to the Centers for Disease Control and many voluntarily provide quality information to the Society for Assisted Reproduction. Consider clinical pregnancy rates (the presence of a gestational sac in the womb) and the average number of embryos transferred. The best programs will have a high clinical pregnancy rate and a lower number of embryos transferred. 5. Always ask about laboratory facilities. This is important. After a doctor does an egg retrieval or fertility procedure, the laboratory takes over. The laboratory is responsible for fertilizing eggs, monitoring embryo growth, genetic screening of embryos and cryopreservation (freezing) and thawing of eggs and embryos. Do they use fast-freezing methods called vitrification and if so, how long have they been using them? Vitrification is a very technical process that is utilized by many and mastered only by a select few. Do they work with a frozen donor egg bank? Or do they rely solely on fresh egg donors? If you need donor egg to have a child, work with a practice that has experience with frozen donor eggs which can cut costs in half and speed up the overall process. 6. Treat yourself as kindly as you would treat the baby you long for. I won’t sugar coat it – what you are going through is very difficult. Many couples and women unfairly blame themselves for their infertility. Life throws twists and turns, and you are finding your way. Infertility is not your fault. Be kind to yourself and listen to your needs. 7. Don’t give up. You will be a mother. Infertility is many, many things. But most of all, it is temporary. You will become a parent if you persevere. You will get through this if you keep trying. When you hold your baby in your arms, you will know at that moment it was all worth it. Are you ready to start looking for your donor? Thank you for your advice. My husband and I are interested in a frozen donor egg but we are in Australia. Do you know of any clinics in Australia that offers a similar process. Thank you once again we will keep trying until I have a beautiful and healthy baby in my arms. We did egg donor in vitro after no pregnancies and one failed adoption. Our beautiful, healthy 3 year old daughter is a true blessing to us. We waited 14 years for her. We are so grateful to our donor and to the doctor and staff. God had to do a little work on my heart to convince me that this was an option for us, but it must have been part of his plan. Thank you. Your last two points brought tears to my eyes. We are beginning to explore egg donation. Thank you for this wonderful piece of information. After serious medical issues causing infertility we had begun to explore the egg donation process. Being in Australia, there is no egg bank as there is overseas. Although egg donation can still occur it is costly and expensive as you are required to travel overseas for the treatment. I am incredibly lucky as I have a live donor who has approached me and offered her eggs.... this is an absolute dream come true!!! We are now in the very early stages of planning and can not be more excited.... Your last point (number 7) was the most wonderful thing to read... having support from others in the same situation is so valuable.